Steph: Hey all, I had a great week (even though I didn’t lose). It was busy, busy, busy as it has been consistently lately. Pete’s mom came and stayed with us this weekend which was really fun and work had just been non stop. At 5 I’m ready to just pass out! I’m also prepping for the FrogPond art show that is coming up soon. Really excited for that! Jenn and I went to Zumba on Monday which was awesome but killed me at the same time. Pain has never felt so good!! hehe I’ve also signed on for another round (8 classes) of yoga which excites me!! YAY!!! 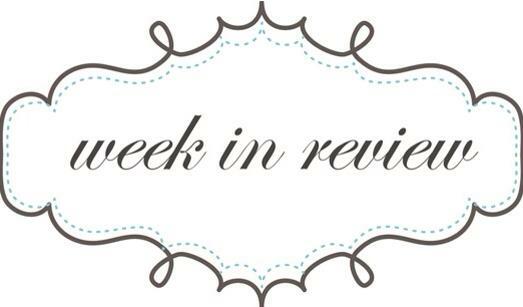 Jenn: This week was a very busy week for me. We have been doing a lot of work around the house prepping the yard for sod and hosted a bbq for the guys who helped us lay sod in our yard. Digging up the old yard was HARD work! I also had my Nanny over for supper and cake which was really nice. Even though I was busy this week and didn’t have a lot of time for me, I am so happy that I was able to spend lots of quality time with family and friends. I’m feeling really drained these past few days and can’t seem to get enough rest, maybe it’s weather related drowsiness? I want to do the same as Steph and post my goals in visible places around my house so I am forced to be reminded. Zumba with Steph was crazy on Monday and I gave it my all, it hurt but felt really awesome getting a good workout. I have also been doing squats at home, so my legs are really hurting from the combination of the two.